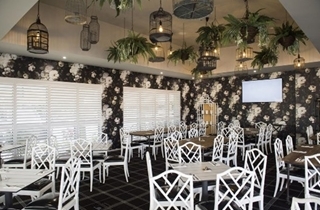 Parklands Tavern, located in Meridan Plains on Queensland’s beautiful Sunshine Coast is locally owned and operated by Sunshine Coast Hotels Pty Ltd. 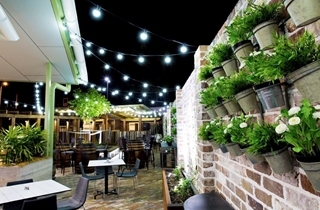 It has been established as a garden oasis, a relaxed and inviting environment that reflects typical Australian hospitality and ease. 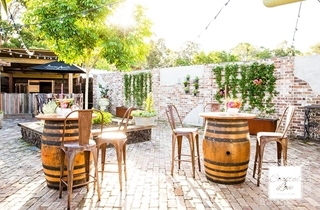 The Parklands Tavern kitchen team uses only the freshest and best quality ingredients with locally sourced produce and daily visits to our own vegetable garden beds and citrus grove to offer a well-balanced, delicious Australian pub bistro menu with plenty of variety for all tastes. 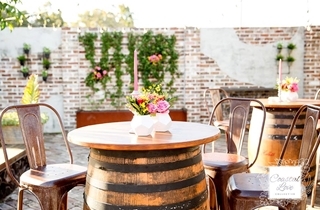 Our beverage menu has a broad selection of wines hand-picked from the best varietal regions in Australia and New Zealand. With 15 different beers and one cider on tap we will have an enviable selection of tap beers from Australia and around the world with some traditional Aussie favourites, as well as a range of craft and boutique ales. 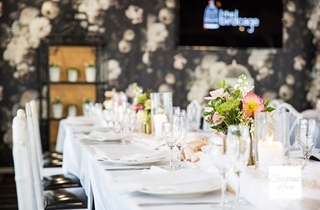 The Birdcage is a private function room located at Parklands Tavern, 238 Parklands Boulevard, Meridan Plains. 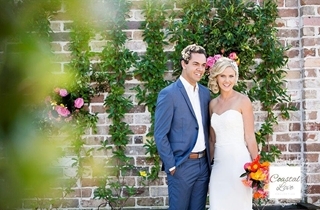 The casual style and outdoor nature of The Birdcage is inspired by the surrounding environment of our gardens. 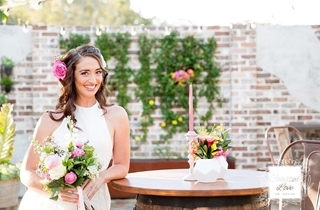 Design elements like old garden equipment, vintage tools, hand hewn machinery, old tin buckets and vintage copper tubs provide an eclectic mix of backdrops for beautiful wedding day memories and stunning wedding day photography. 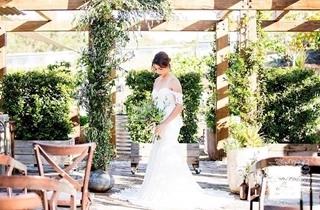 Recycled elements, including old timber sleepers, washboards, rusty barrels, wire baskets and wrought iron lamps sit very comfortably in the backdrop of lush greenery provided indoors and out. 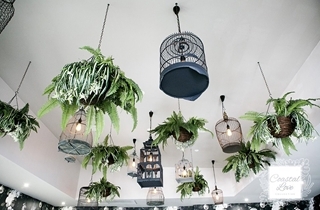 A selection of vintage birdcages and on-trend ferns are suspended from the ceiling overhead. 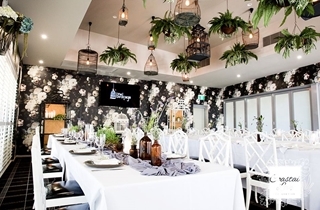 Hues are essentially neutral with black and white features in tiles and wallpapers. 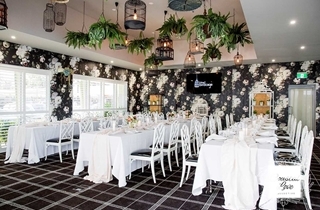 Bushland colours of grey and charcoal are contrasted with the more colourful tints of the background garden with full blown florals in lavendar and pink, forest green and mint in the stunning botanical wallpaper within the space. 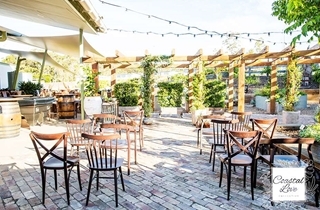 The Birdcage caters for a maximum of 70 seated or 120 standing, with bi-fold doors and plantation shutters offering complete privacy. 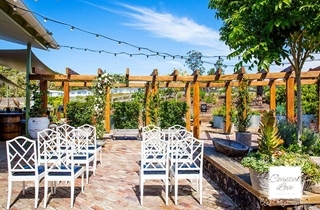 The outdoor garden provides more space for your guests to mingle and to enjoy the fresh air and rustic backyard ambience. 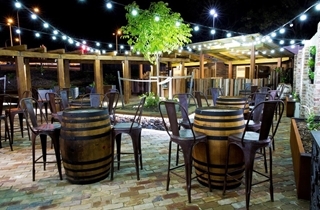 It’s just perfect for pre-dinner drinks or cocktails under the stars whilst relaxing by our wine barrels and luscious garden beds. with fresh cream and tea & coffee.